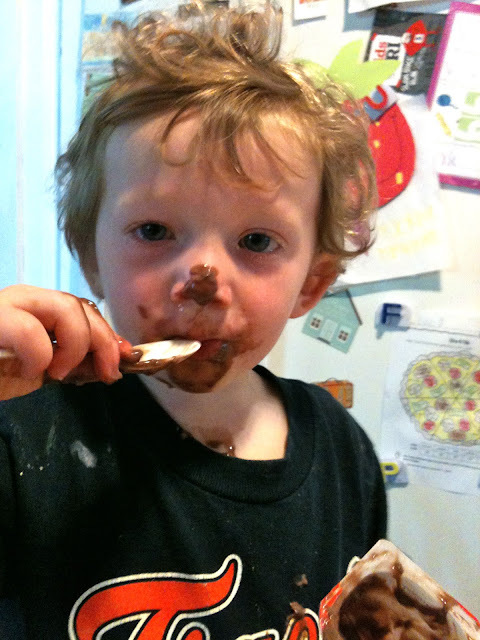 I totally believe it is my job to teach my children to appreciate chocolate pudding. And Wade gets it. Entertaining a toddler with pudding, I can handle it. Entertaining four kids all summer long, I don't know what to do! Tomorrow is the last day of school and I am a bundle of nerves. What will Friday morning be like when they all look to me and say "what are we going to do?" Terrified. If only older kids were as simple as pudding and a couple of matchbox cars.